Learn exactly how this handcrafted brand multiplied their sales nearly 10x in less than a year! This ebook doubles as a workbook for you to use to rebrand (or brand) your business. Thanks! Your free guide is on its way. 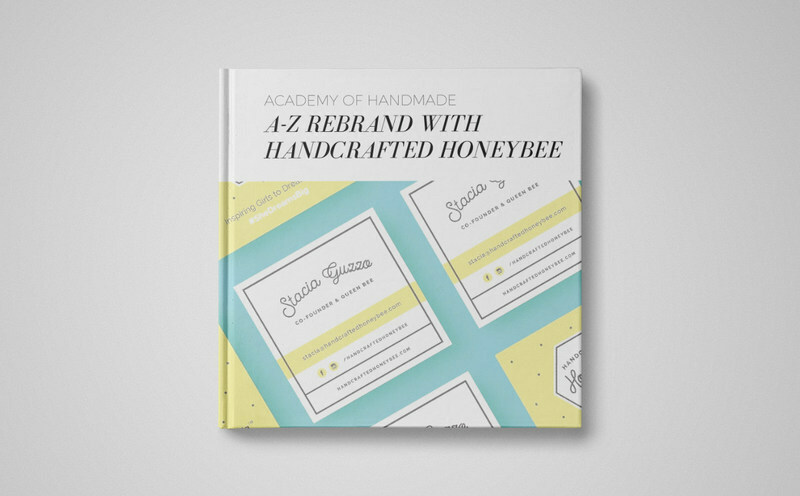 After facing some major burnout in their skincare products business, Handcrafted Honeybee founders Stacia and Robert Guzzo decided to embark on a rebrand. This e-book, published by Academy of Handmade, details their entire rebranding process, which involved addressing some major target customer problems. It also doubles as a workbook to help you manage the process of branding — or rebranding — your creative business.